Updating the Stock Information for a large number of the WooCommerce products is a complex process. 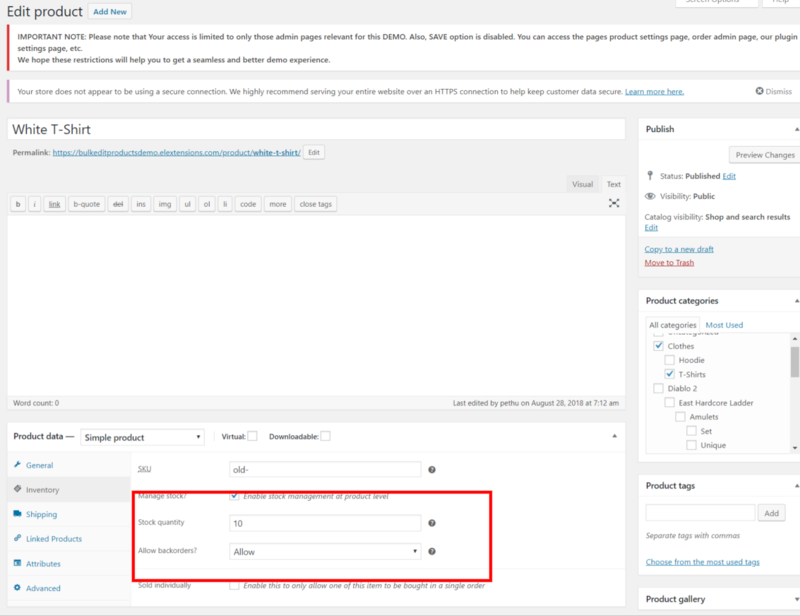 Although WooCommerce provides this feature in its bulk editing settings, it cannot filter product stock information based on our requirements. So you need an advanced WooCommerce bulk editing solution like ELEX Bulk Edit Products, Prices & Attributes for WooCommerce to do this job. In this article, I’ll demonstrate how you can bulk edit WooCommerce Product stock information with ELEX Bulk Edit Products, Prices & Attributes for WooCommerce. First, we will consider Products in the category Clothing. For our understanding, we consider White T-shirt in the clothing category. In the inventory section of the product, we will find the existing changes for the stocks. Here the Stock quantity is 3 and the Manage stock option is enabled. The first step in this is to filter your desired products using the filters provided by the plugin. 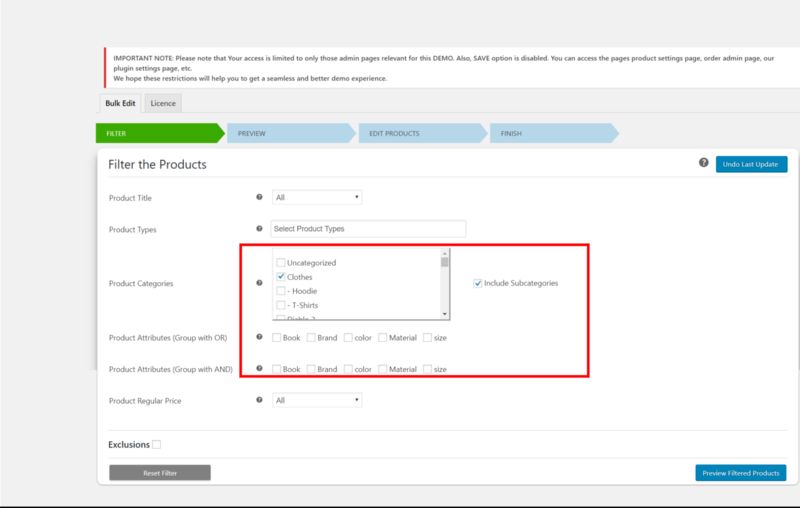 For our understanding, we can select the product category as Clothing from the Product Categories filter. Click Preview Filtered Products to move to the next step. The preview stage will show you the filtered products. Based on our Example considered, the plugin will show the products that are in stock and their quantity. Here the stock quantity is 3. 3. Updating Product stock Information in bulk. 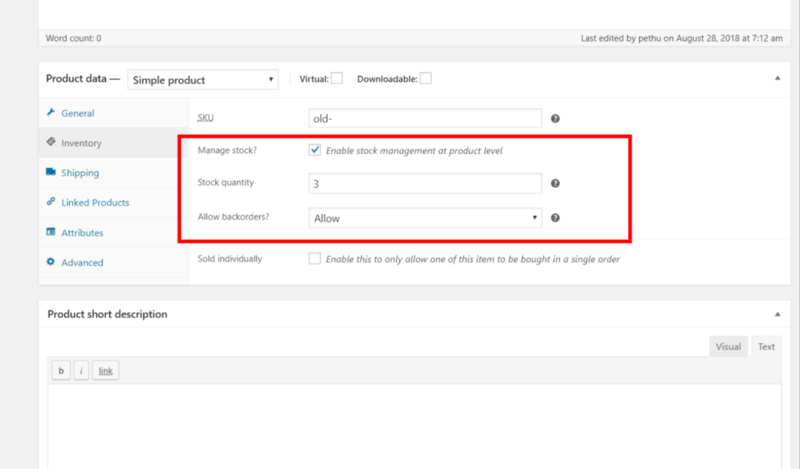 The plugin offers four Product stock Information properties to edit in bulk. They are Manage Stock, Stock Quantity, Allow Backorder, and stock Status. The Stock quantity provides three options to the users. Increase – Add items to existing stock quantity. decrease – Remove items from existing stock quantity. Here we Replace quantity by 10. Do not Allow – It doesn’t allow customers to place orders when the stock is empty. Allow but notify the customer- It allows customers to place the order but notify the customer about the stock status. Allow – It allows the customer to place the order. Here we allow the back orders and enable the manage stock. At last, click Update Products. Open the WooCommerce Products page to see the updated changes in stock. 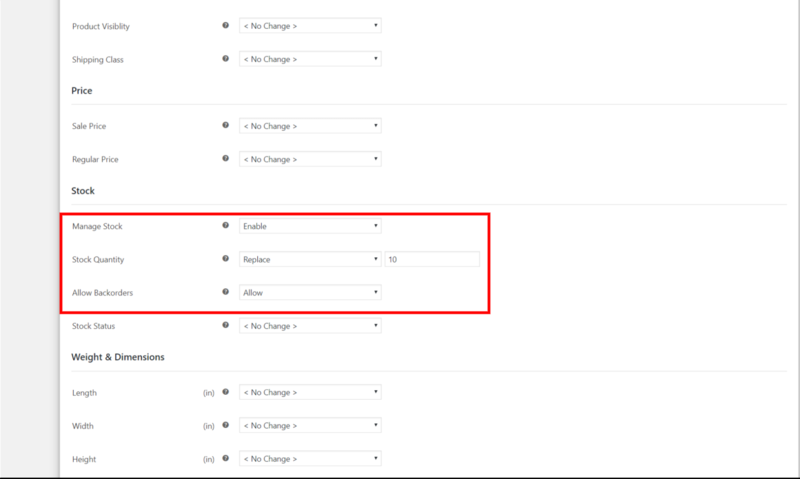 Or You could also check the changes in the inventory section of the selected product. This way we can bulk edit the Stock Information of the products. In addition to this, there are a lot of things that you can achieve with this plugin. You can bulk edit the Product Title, Product SKU, Product Visibility, Shipping classes, Sale price, Product price, Product Attributes and Product Categories.